The former presidential candidate will run for Orrin Hatch’s Senate seat. One month ago, Mitt Romney said bad news only comes on Fridays. Well, he either forgot about that statement or hopes it isn’t always true when he tossed his hat in the ring for Orrin Hatch’s senate seat. Since Hatch announced he would retire at the end of his term, speculation has run rampant that Romney would run to fill the spot. 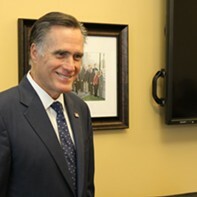 Romney previously ran for president in 2012, served as governor of Massachusetts in the mid-2000s and led Salt Lake City through the Winter Olympics in 2002. 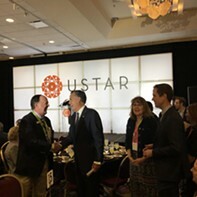 In January, Romney made two public appearances—at the Salt Lake Chamber of Commerce and was keynote speaker at the Silicon Slopes Tech Summit—where many asked if he was going to run. He dodged those questions, saying the timing wasn’t right. 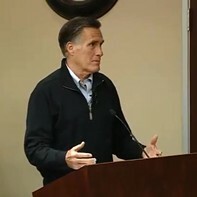 “You know enough about politics to know that you would never make a critical announcement on the week the Mormon Church just named the new president ...” Romney told the crowd at the tech gathering. “And, when it’s a Friday—of course, you only put out bad news on Fridays—and No. 3, when someone lights a gasoline truck on fire on I-15,” referring to a traffic accident that day. Instead, Romney waited nearly one month later to make his run official. He originally planned to announce the campaign Thursday, but delayed it one day because of the high school shooting in Florida. Romney is widely popular in Utah. In the 2012 election, he won the state with 72.6 percent of the vote against Barack Obama’s 24.7 percent. He will face off against Democratic challenger Jenny Wilson, who announced she would run for the seat in 2017. “Utah needs an independent voice for our communities that are struggling, not a hand-picked candidate of the Washington establishment," Wilson said Wednesday in a statement. "Utah families deserve a Utahn as their senator, not a Massachusetts governor who thinks of our state as his vacation home. “I don’t need binders full of policy papers about the state of Utah, because I live in Utah, I raise my family in Utah, and I serve the community in Utah. I don’t need to read about it; I am a part of it. As a fifth-generation Utahn and Salt Lake County Council member working on the ground, I can deliver for Utah families in the U.S. Senate. Mitt Romney represents a voice for special interests who are strangling our Federal government and the extreme wealthy who are benefiting from it. The contrast couldn't be clearer." Romney’s bid for the Senate seat hasn’t come without speculation from his own party either. Utah’s GOP Chairman, Rob Anderson, accused Romney of “essentially doing what Hillary Clinton did in New York”—campaigning in a state he hasn’t spent much time in, according to The Salt Lake Tribune. “I think he’s keeping out candidates that I think would be a better fit for Utah because, let’s face it, Mitt Romney doesn’t live here, his kids weren’t born here, he doesn’t shop here,” Anderson told the Tribune. 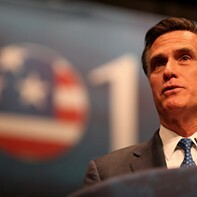 However, Anderson backtracked on Thursday, offering Romney a public apology. 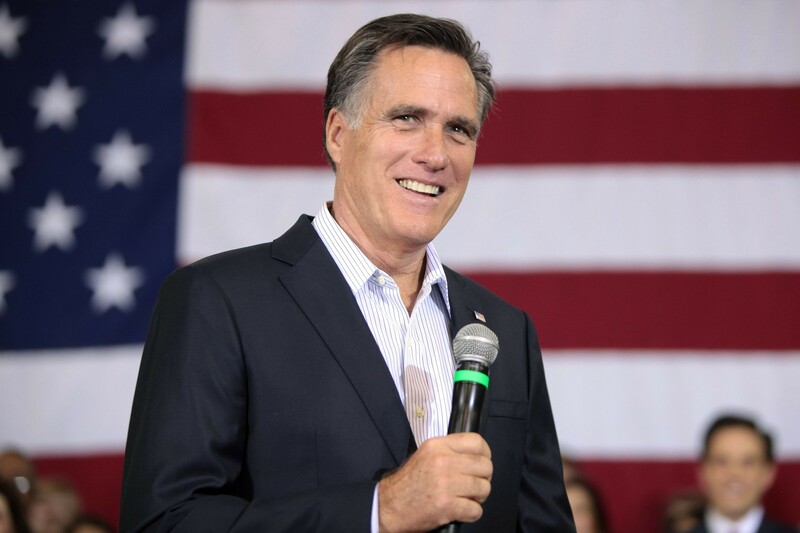 “I’ve no doubt that Mitt Romney satisfies all qualifications to run for Senate, and as chairman of the Utah Republican Party, I will treat all candidates equally to ensure their path to the party nomination is honest and fair,” Anderson said in a statement. Trump Backs Romney. But for How Long?